On Thursday 3 December 2015, the strategic platform Brussels Retrofit XL organises a KNOWLEDGE SESSION on INDUSTRIALISATION AND PREFABRICATION OF BUILDING SYSTEMS FOR RETROFITTING. Place to be is the CSTC-WTCB Brussels meeting center (Avenue Poincarélaan 79) in Brussels. Start at 14:00. Participation to the event is free, but registration is required before November 27th, 2015 under ‘Upcoming events‘ on this website. 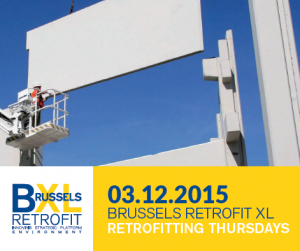 For more information check out the flyer Event 03-12-2015 Industrialisation and Prefabrication of Building Systems.